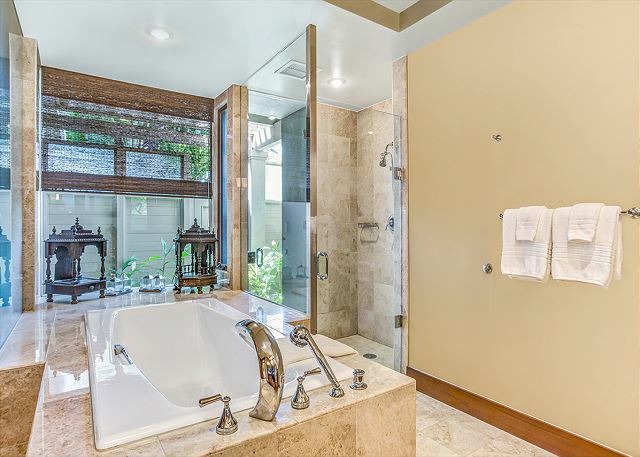 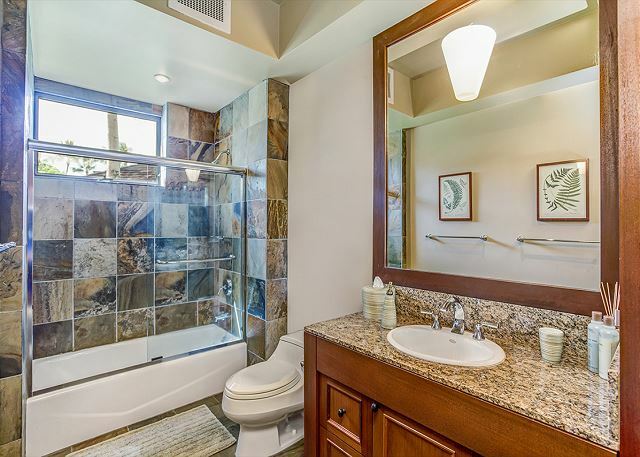 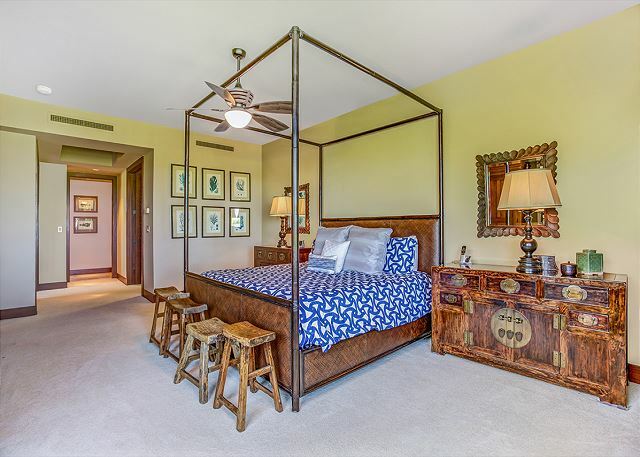 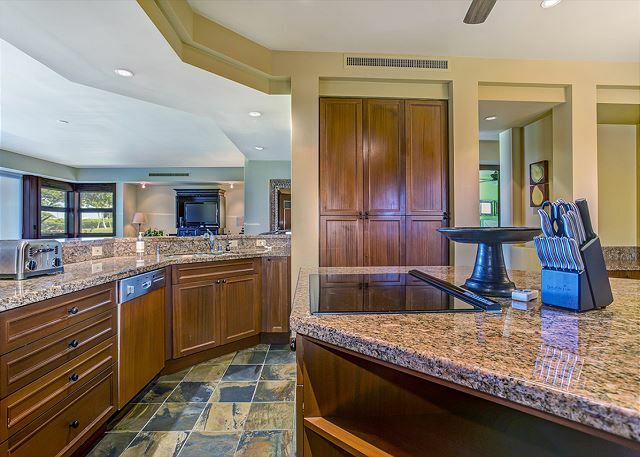 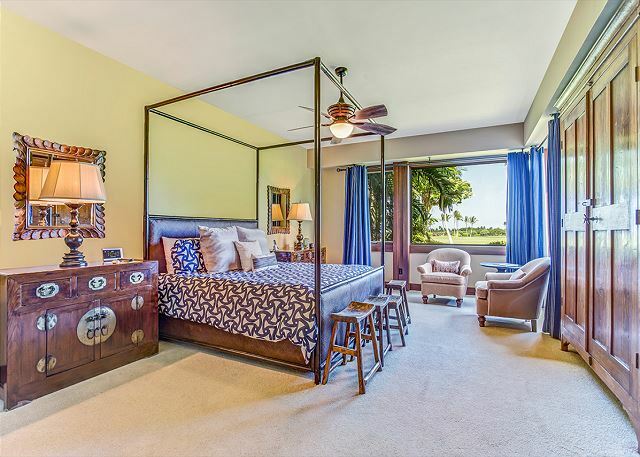 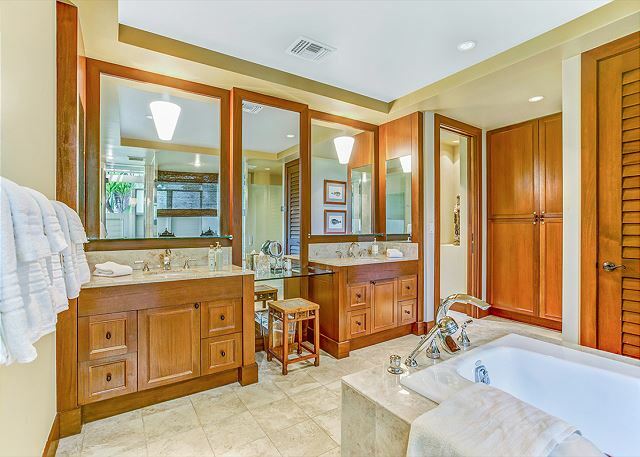 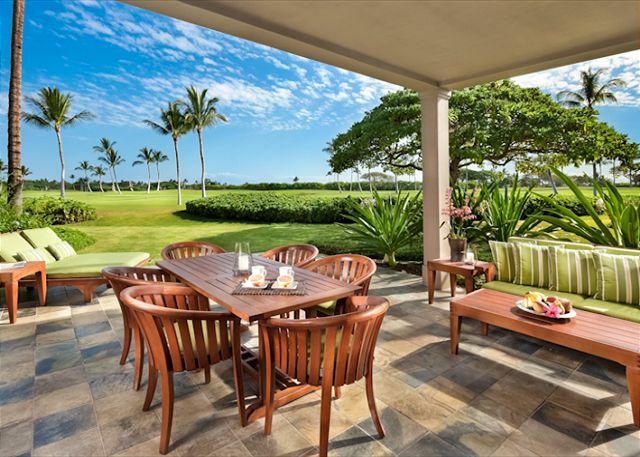 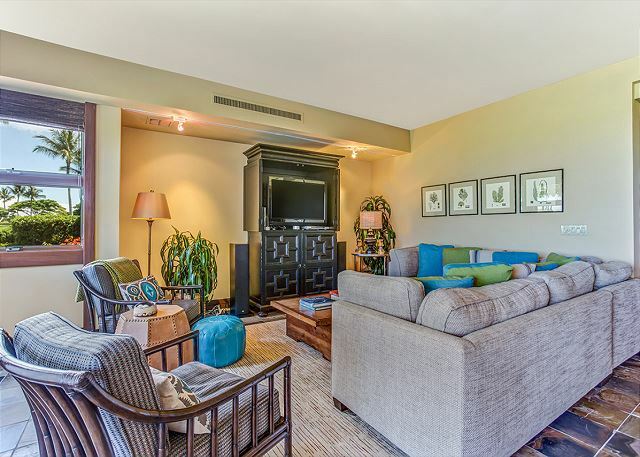 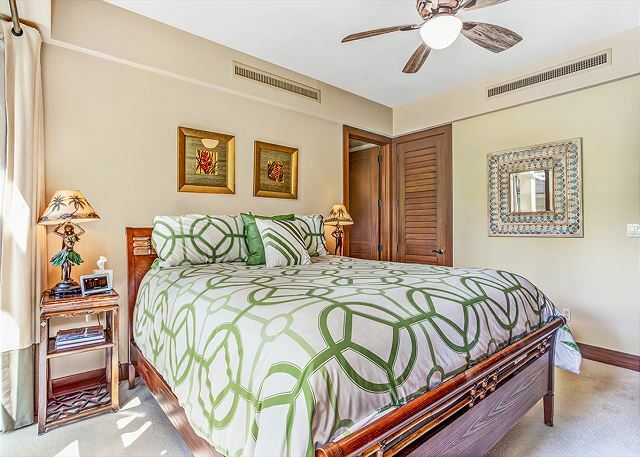 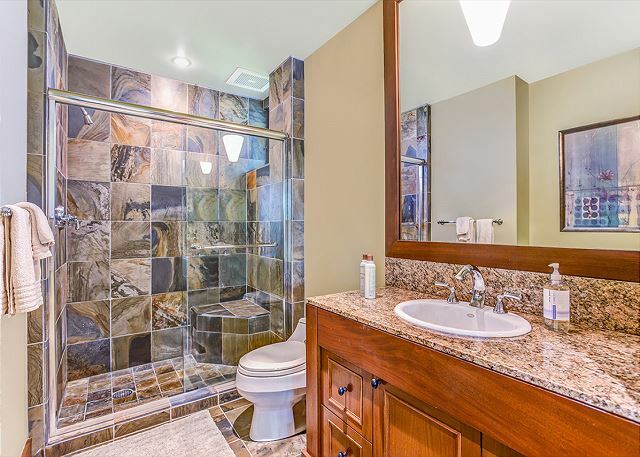 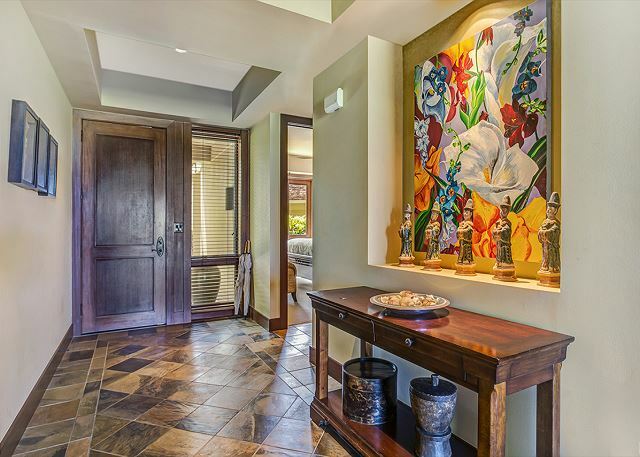 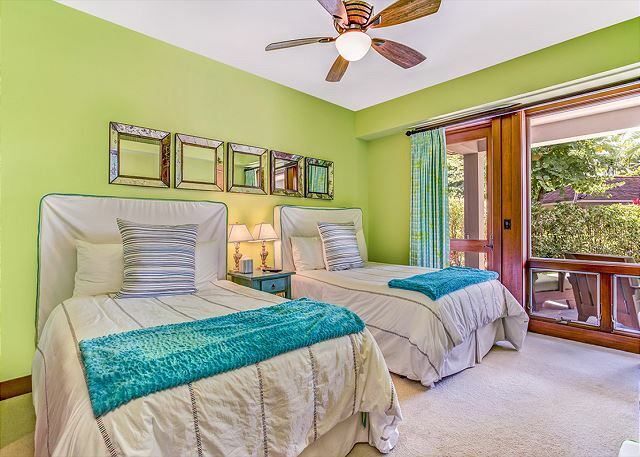 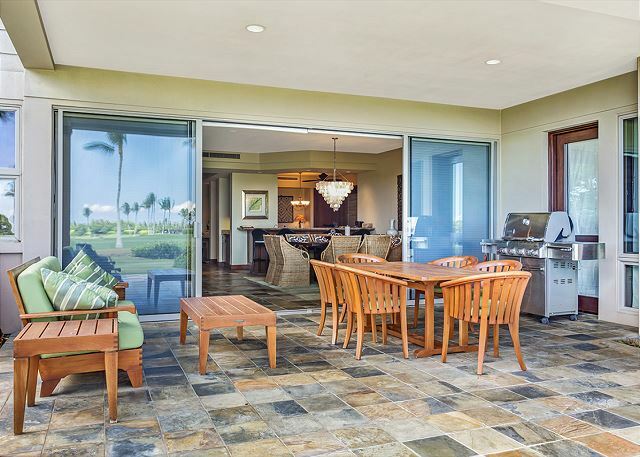 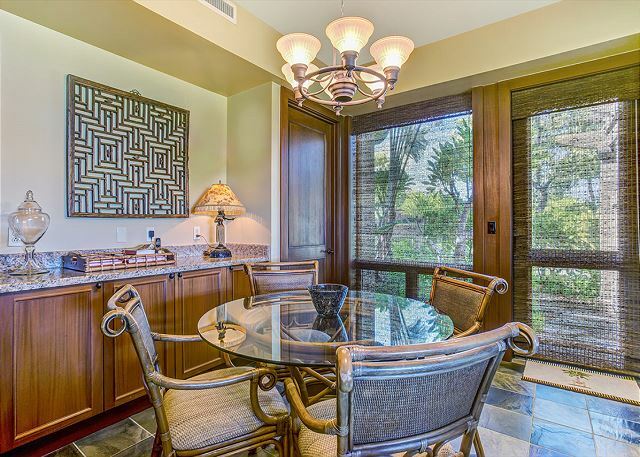 Fairway Villa 116C – Luxury Vacation Homes, Inc.
Conveniently located 3 bedroom, 3.5 bath luxury villa overlooks the 15th hole of the Jack Nicklaus designed Hualalai Golf Course. 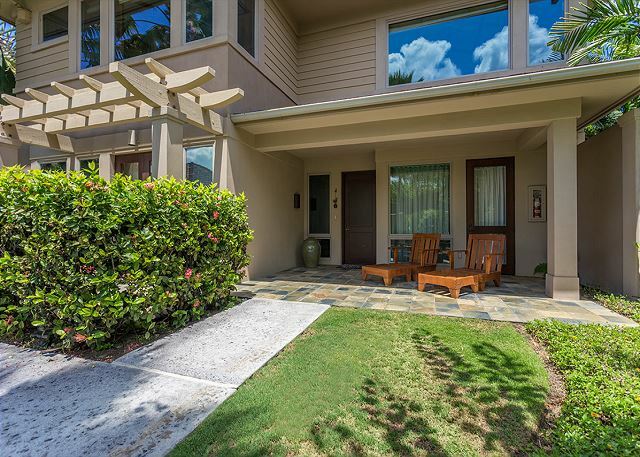 Ground floor single level floor plan has a spacious lanai that extends to private lawn area – great extra space to enjoy indoor and outdoor living. 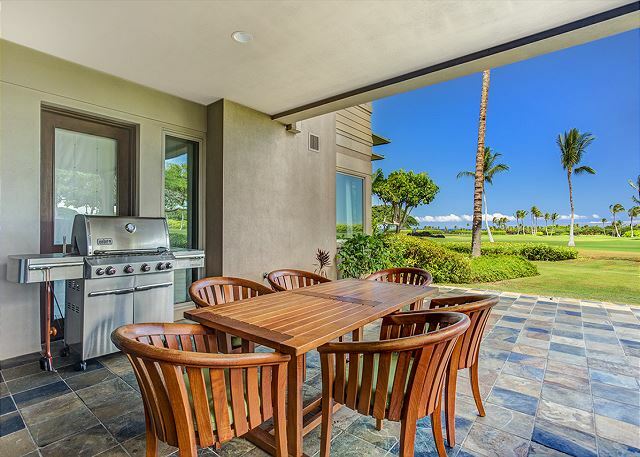 Beautiful teak lanai furniture and barbecue over a covered lanai allows for additional dining with enough seating for 12. 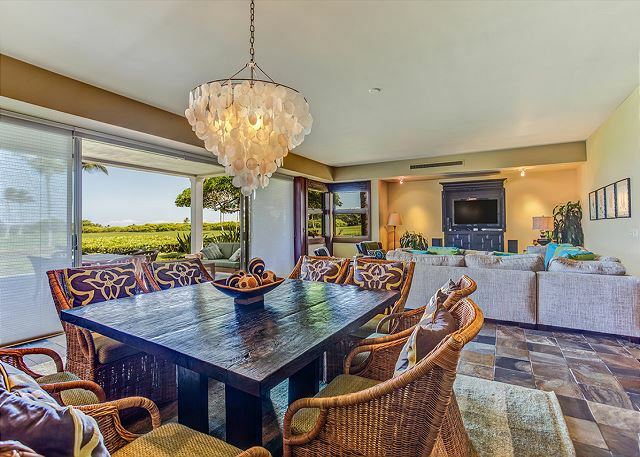 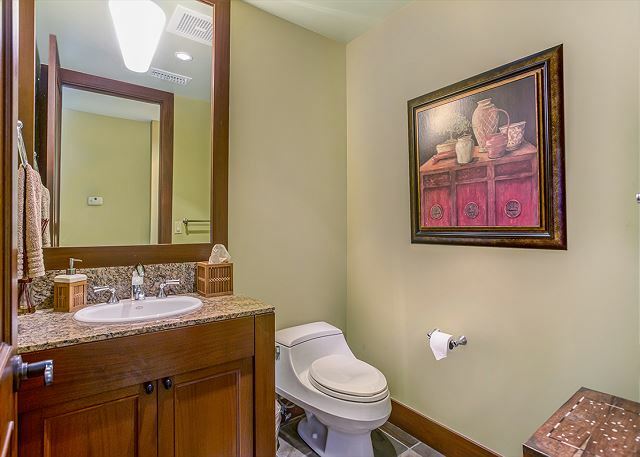 The villa is professionally designed and includes high tech features that allow you to enjoy the conveniences of home – flat screen televisions, Wii, wireless internet and Sonos Wireless HIFI System – providing endless music and video options for everyone. 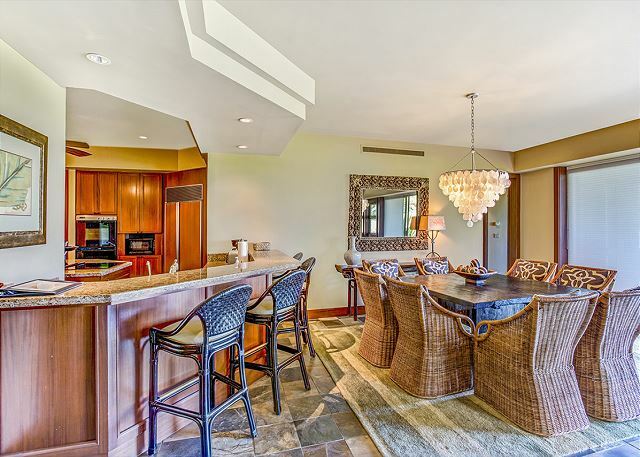 The kitchen and multiple dining areas are stocked with everything you need to make this vacation memorable – granite counters with cooking island and bar seating and a large, square ‘conversation’ dining table provide several options that make entertaining exciting and enjoyable. 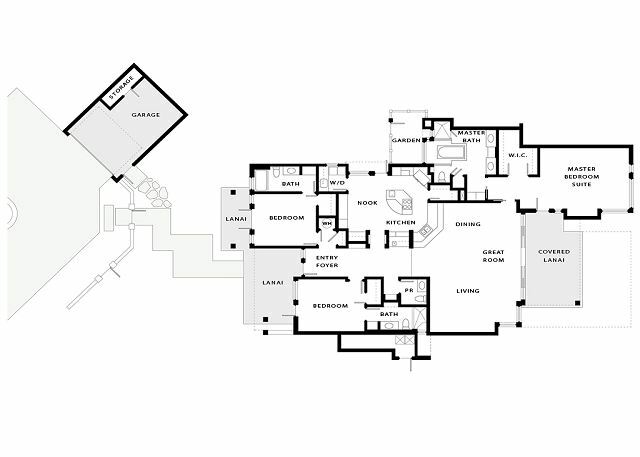 This villa “lives” like a single family home with over 2600 square feet of space. 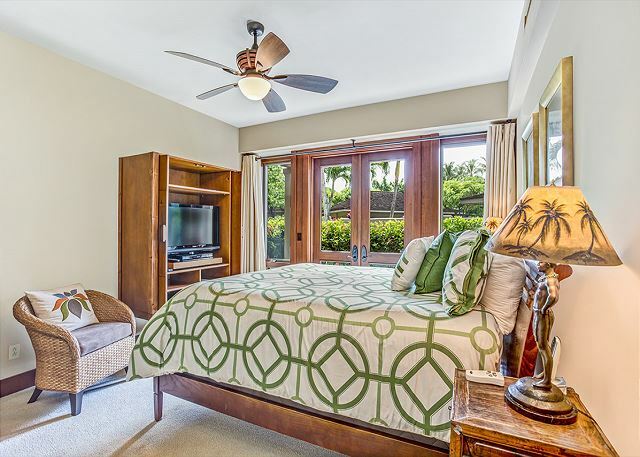 The bedding provides flexibility and the two guest rooms have their own lanai to provide additional space and light. 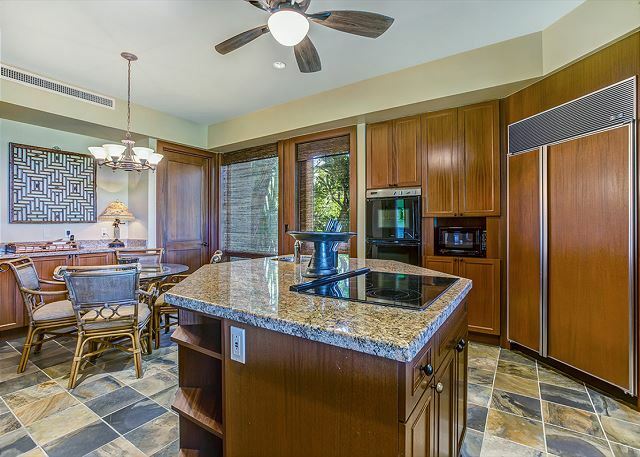 There is even a small laundry room located just off the kitchen for added convenience. 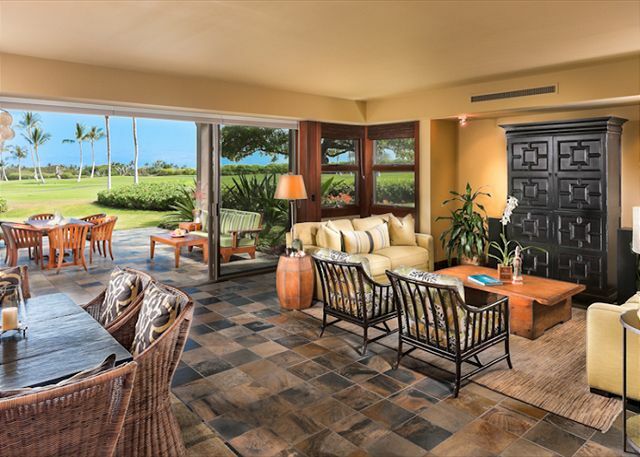 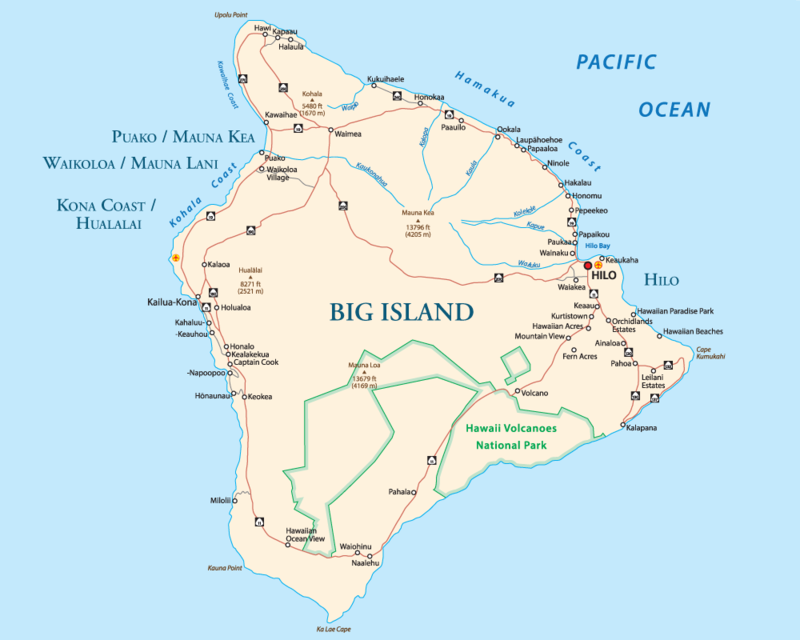 Two, four-passenger golf carts provide easy access around the resort – the Trading/Coffee Company, Hualalai Spa and Four Season are a mere 2-3 minute cart ride. 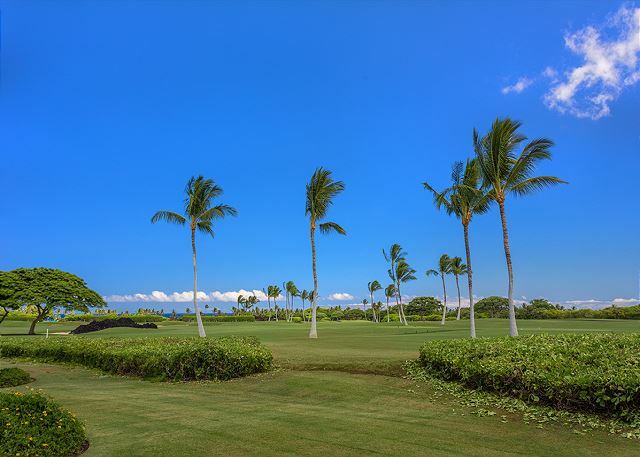 Beach access is also just a short distance down the street (adjacent to the Member-only Canoe Club) with wonderful tide pools for beach exploration.